Kim Dotcom Might Go To Jail For Megaupload But Not For Copyright Violations. The court may finally be able to extradite Kim Dotcom. But not for the reason you might think. Kim Dotcom is the founder of the famous file hosting website which goes by the name of Megaupload. That project is mostly gone (as in dead) now. Kim Dotcom has been battling various lawsuits ever since his file hosting/file sharing website, Megaupload, got taken down by law enforcement agencies. Recent reports published in the media have now revealed that Kim Dotcom may get extradited to the US, but it won’t be for copyright violations. But the New Zealand High Court ruled on, according to reports published on February 20, 2017, that it was certainly possible for the United States government to get Kim Dotcom extradited to the country as soon as possible. But not because his projects enabled millions of online users to engage in copyright violations. In common terms, what that really means, is that Kim Dotcom gave millions of users online the ability to easily download stuff from the internet without paying a dime to the creators of that “stuff”. Of course, little of that matters now. The ruling from New Zealand High Court did take a lot of time to come intro fruition. According to most reports, it took months of deliberation on part of the court to agree on one aspect of Kim Dotcom’s personality. That is, his businesses were mostly used to defraud people. More specifically though, Justice Murray of the New Zealand High Court concurred with the US government on a very important matter. That important matter is the United States government’s position on Kim Dotcom’s culpability. And Justice Murray now believes that Kim Dotcom’s case is actually a fraud case in its own unique way. Therefore, Kim Dotcom can be extradited for an offense of that nature. What Does Kim Dotcom Think About The Court’s Decision? Will Kim Dotcom be able to get Megaupload 2.0 up and running from prison? Kim Dotcom, as vocal as he is, says that he will continue to fight till justice is done. What kind of justice is he exactly talking about? What we do know for sure is that the extradition hearings regarding Kim Dotcom’s extradition took ten weeks. The actual hearings didn’t take place this year. They didn’t take place last year either. The hearings took place way back in 2015. This was the time when New Zealand district Court judge came out with the ruling that Kim Dotcom could be extradited to the US. The ruling wasn’t restricted to Kim Dotcom alone. Along with Kim Dotcom, the court ruled, his associates from Megaupload could also come under the same ruling. Kim Dotcom along with his former colleagues at Megaupload was “eligible” to get extradited to the US. What happens to them in the US you may ask? Well, in the US, they would get tried for criminal charges related to their online businesses such as Megaupload. Needless to say, Kim’s reaction to that 2015 ruling from the New Zealand District Court took some time. But not because of Kim. In fact, Kim Dotcom almost instantaneously publicly addressed the issue and said that he would launch an appeal. An appeal to the High Court that is. The resulting appeal ate up a further four weeks last year in September. It took about another six months to reach a ruling regarding the Kim Dotcom September hearing. On February 20, 2017, Justice Murray Gilbert announced the court’s decision. Before we move on to the actual decision, readers should know that the court’s decision is at least controversial if not only thought-provoking. After all, Kim Dotcom ran a business that facilitated millions upon million of users to infringe copyright laws. And of course, we’re not even talking about any of his other side adventures. That also brings us to the core of the issue or the case against Kim Dotcom. The central theme of the case from the United States government against Kim Dotcom is as simple as copyright infringement. That is, copyright infringement on part of users who downloaded copyrighted material from a platform, on the internet, which Kim Dotcom created and maintained. As indicated earlier in the article, Kim Dotcom is not the only one that the US government has named in the case. So basically the magical quartet behind Megaupload is being courted by the United States government on charges of copyright infringement. So why all the media is focusing on Kim Dotcom alone? You could say that just like Jack Ma of Ali Baba is the face of the company even though it had a total of nineteen founders, similar is the case with Kim. Kim Dotcom is the most well known of the maintainers behind sites such as Megaupload. Most of you would NOT like to know that while Kim Dotcom fights the court of criminal charges, he is working on an improved version of Megaupload as well. That, of course, is a topic for another discussion because in Megaupload’s case it isn’t clear if it did help people infringe on copyrights. Some critics in the media believe that the case against Kim Dotcom may go down as the biggest of all time. That is, the biggest copyright infringement case of all time and for good reason. All four members behind Megaupload have made millions on the back of selling ads through their network. 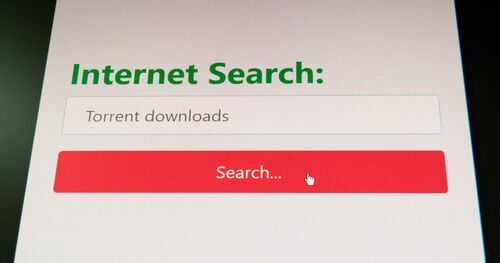 That network’s reputation was built solely on distributing copyrighted material on the internet. The New Zealand Court’s Official Position On Kim Dotcom Issue. There is little doubt about the fact that Kim Dotcom was behind one of the biggest platforms that provided copyrighted material. However, the ruling on his case is perhaps equally, if not more, elaborate. In a mammoth 363-page ruling document, Justice Gilbert managed to discover some interesting facts about the case. For one, there was no equivalent criminal case in New Zealand regarding copyright infringement. Second, it was difficult to ascertain if Kim Dotcom and his associates could be extradited to the United States of America. In other words, since there was no precedence, it was a little less than straightforward to come up with a ruling. Can Kim Dotcom and his co-defendants be shifted to the US as a result of a previous extradition treaty? The official announcement from the court clearly mentioned that this fact was indeed the central issue. The statement said that one of the central issues in the case was whether copyright infringement by digital online communication of copyright protected works to members of the public was a criminal offense in New Zealand under the Copyright Act. Moreover, the statement also read that the High Court had held that it was not contrary to the conclusion reached in the District Court. In fact, the statement read, the appellants had succeeded with one of the main planks of their case. Is the court’s statement sound like the ideal news for the people behind Megaupload? Perhaps Kim Dotcom and his fellow associates would be able to answer this question better than anyone else. From our side, it looks to be neither. The statement could prove to be useful for Kim Dotcom and his friends to defend themselves better. No one, at this point in time, knows the full picture of the criminal case against Kim Dotcom and Megaupload. What we know so far is the US government will do anything and everything to bring Kim and his friends to the US. More like extradite them to the United States of America and then have them face trial. 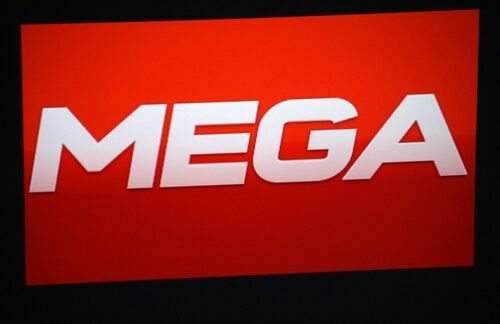 The total number of criminal counts against the Megaupload quarter is at thirteen. The thirteen criminal counts against Kim Dotcom and his associates includes acts such as racketeering. This basically says that Kim Dotcom and his Megaupload buddies won’t get extradited because of copyright infringement. Kim Dotcom and his Megaupload friends will face charges for the aforementioned criminal acts which does not include infringement. So Kim Dotcom Isn’t Being Extradited For Copyright Violations? Then What’s The Problem? We know, so far, that copyright infringement charges are now ruled out as far as Kim Dotcom’s extradition is concerned. That of course, leaves us with the other charges mentioned before. But the criminal against Kim Dotcom and his Megaupload friends isn’t that simple. Especially given that the High Court in its latest ruling said that the District Court’s ruling was basically flawed. The District court ruling we’re talking about here is the one that came out in December 2015. With that said, the High Court also found out that regardless of the District Court’s flawed ruling, Kim still should be extradited. Because the part of the ruling that dealt with other crimes of Kim Dotcom and his Megaupload buddies was valid. And hence the quartet’s extradition still stood firm. The High Court said that there were available pathways for Kim Dotcom and his friends’ extradition on each criminal count. At one particular place, the High Court’s summary stated that The High Court had confirmed that the quartet behind Megaupload (including Kim Dotcom) was indeed eligible for extradition under section 24 of the Extradition Act 1999. Did the court just cite the Extradition Act 1999? Which is like, in online terms, a full millennium ago. Nevertheless, Justice Gilbert doesn’t seem to think so. According to him, the case against Kim Dotcom (even without infringement) had elements of conspiracy to defraud. And that criminal act along was an extraditable offense. Does Kim Dotcom agree with Gilbert’s assessment on the Megaupload case? In fact, Kim Dotcom took to twitter and said that Gilbert’s comments on the case did not seem applicable. Former Megaupload founder Kim Dotcom tweeted that he longer was being extradited for copyright. In fact, he also tweeted that his team won on that count. In his concluding remarks, Kim Dotcom said that he was not getting extradited for a law that did not apply. That is, apply to him. Could it apply just to his Megaupload friends and not him? Kim also that the US Supreme Court had ruled that copyright charges were not enough to be considered fraud charges. And hence the courts in New Zealand needed to ignore the little details of the case, Kim Dotcom tweeted. Ron Mansfield is Kim Dotcom’s barrister at the moment. Okay, so why do we mention him right now? Well, first because he is Kim’s barrister. And second, his statement about the proceedings are quite relevant. In an official statement, he said that his side had won the copyright infringement argument. And hence it was disappointing to see the court still deciding to extradite Kim Dotcom. He said that despite the partial win and negative overall result, there was still hope for his client, Kim Dotcom. Basically, Ron gave his support to Kim Dotcom for his assertion regarding the US Supreme Court ruling. The US Supreme court had earlier ruled that copyright infringement, though a crime, was not fraud. Ron believes that the laws in New Zealand don’t support Kim Dotcom’s extradition either. He told reporters that the High Court had accepted that Parliament made a clear and deliberate decision on the issue. The decision was to not criminalize the related type of alleged conduct by ISP’s. In other words, protecting ISPs and not labeling them as responsible parties for acts of their subscribers or users. Kim Dotcom’s Barrister Ron also said that the court should not permit the same conduct to be criminalized. Especially, after given the fact, that the same type of conduct was categorized as not fraud earlier. For the court to disrupt that ruling, it was a clear indication that something was not right. He also said that the High Court’s decision meant that Parliament’s intended protection for ISPs was illusory. He ended his statement by saying that this decision would be a concern for all ISPs and would impact everyone who accessed the internet.